Junior High students participate in a wide variety of activities at Alexanderwohl, from weekly junior high youth group get-togethers to service trips. 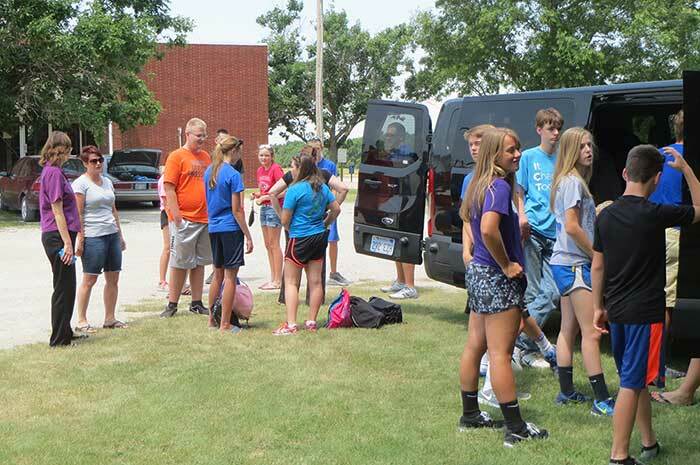 Camp Washunga is a yearly camp that our junior high students attend along with other area junior high students. High school students at Alexanderwohl have opportunities to be highly involved in the church community. With weekly Wednesday night activities, Sunday school classes, monthly service activities, trips to youth conferences, and regular “Youth Sunday” services, high school students participate in a wide variety of activities. Alexanderwohl also offers a mentoring program, pairing a high school student with an older member of the congregation to spend time together. College students often come home during the school year and enjoy connecting in a college-age Sunday School class. With dedicated college-age youth sponsors, college students also get together often over the summer. Alexanderwohl also offers a scholarship for member students attending a Mennonite college. Click here to download the scholarship application.